I realize that there is a terrific opportunity for my team and I to enhance your client experience with us. I am happy to introduce our Real Estate Concierge Services. These services are available to you and your family because in our over eleven years of experience, my team and I have developed relationships with Ventura County’s best in class service providers. We are delighted that you will benefit from our relationships with our red carpet partners! A Real Estate Concierge achieves the impossible for you through our red carpet experience. Whether you are a first time or seasoned home buyer or seller, our dedicated and passionate real estate experts have created exclusive services and resources to give you everything you want and everything you didn’t know you needed. Excellence, integrity and hard work are our guiding principles as we work tirelessly for you during one of your most important financial decisions in life. For some of our international clients we have personnel that can assist in Russian, Chinese and Spanish. We will exceed your expectations and we look forward to being your Real Estate Concierge for life! 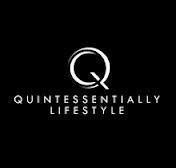 We would also like to introduce you to Quintessentially Lifestyle, award winning lifestyle & concierge services, for anything else you may need above and beyond our services.